“The colleagues I have spoken to have said their morale was very low because the court is not recognising the work they are putting in,” Phaahla said. It is also understood Kobus de Wet from ECIS told the SABC during an interview that morale was dropping due to the uncertainty of what was happening at Skukuza District Court. The complaint noted an “onslaught” against the court, and alleged complicity by Mpumalanga Chief Magistrate Tule-Tu Tonjeni and Skukuza District Court Magistrate Simon Fankomo. The complaint registers four main concerns, namely: a drop in the severity of sentences; the granting of bail to repeat offenders; the transfer of cases to a court outside the KNP where the specialist prosecutors appointed by the National Prosecuting Authority cannot attend them; and whether or not there is an attempt to close the Skukuza court down, for reasons unknown. 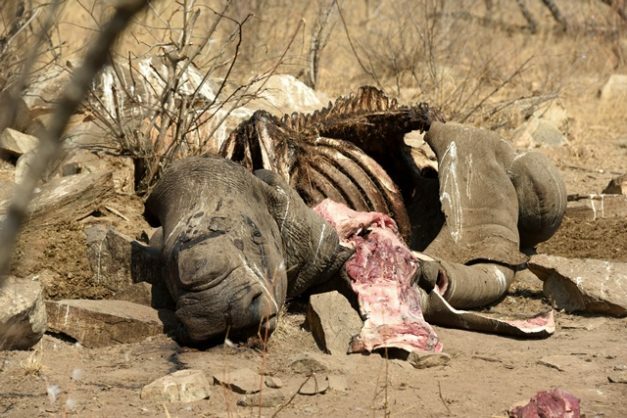 According to the complaint, the SA Police Service’s endangered species stock theft unit situated in the KNP deals with all the rhino poaching cases. KNP had sent the complaint to the department of justice and on August 29 and to date had not received any feedback. The Mpumalanga Magistrates Commission, under the department, is still busy with its response to The Citizen’s question sent on Sunday. The commission’s Mohamed Dawood said yesterday he had referred the questions to Mpumalanga Judge President FM Legodi. “He is also the chairperson of the magistrate’s commission. I’ve also sent them to the chief magistrate who is in charge to get their response to the matter,” he said. Dawood could not say when a response would be sent, only that as soon as he knew.